It may be a city steeped in history, but Hereford manages to balance modern-day luxuries with the character of its market past. For newcomers to the area, it’s made even more attractive given the prime location among scenic West Midlands countryside. 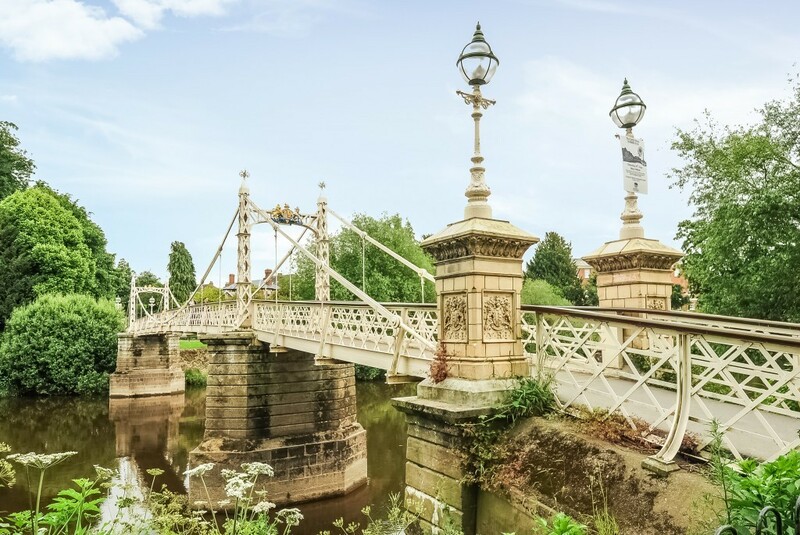 Only a short distance from the Welsh border, Hereford sits on the banks of the River Wye between the Brecon Beacons and Malvern Hills. As such, it’s a playground for the adventurous, with endless walking trails and thrilling watersports. Back on dry land, Hereford promises a more laid-back experience thanks to its pedestrianised shopping district. It gives all the charm of a traditional market town where independent businesses sit alongside historical sights. This includes the towering cathedral, which draws visitors from far and wide. All the major high street retailers can be found at Maylord Shopping Centre, while Hereford Butter Market is home to a variety of indoor food and craft stalls. This passion for locally sourced produce is also evident in the many renowned restaurants, as well as the quaint pubs serving locally produced cider. Other attractions include the ODEON cinema, bowling alley, Hereford Leisure Centre and the many museums. Along with its exceptional schools, Hereford boasts star quality for both families and the younger generation. Situated close to the M5 corridor, Hereford offers impressive transport links to the rest of the UK. Both London and Manchester are within a three-hour drive, while Birmingham and Bristol can be reached in under one hour. Hereford station runs frequent services to many of the major hubs across the UK. Trains run every hour to Birmingham, Cardiff and Manchester. Travel to London is just as convenient, with 60 services per day to London Paddington, taking approximately three hours and 20 minutes. Hereford is home to a great choice of both state and private schools, many of which have been deemed ‘outstanding’ by Ofsted. Hereford Cathedral School is an independent co-educational day school catering to children aged three to 18. This renowned establishment is part of the ancient Hereford Cathedral Foundation, which dates back to the 7th century. Other institutes at secondary level include The Hereford Academy, which provides specialist teaching in sport and science. Alternatively, the Bishop of Hereford’s Bluecoat School has been awarded status as a Technology College, boasting impressive facilities for both mathematics and the sciences. The nearby University of Gloucestershire provides opportunities for those undertaking higher education, while other nearby institutes deliver specialist undergraduate and postgraduate courses. These include the Hereford College of Arts, as well as the Herefordshire and Ludlow College. Hereford’s rich heritage can be seen on every street corner. With plenty of historic attractions, visitors are often fascinated to learn more about the area’s past. Dating back to the 7th century, it first began as an Anglo-Saxon settlement and fortified defence against the Welsh. Following the Norman conquest of England, Hereford left behind its roots as a military stronghold and became an established market town. A leather and wool industry prospered, while the rebuilding of Hereford Cathedral brought pilgrims and friars to the area. 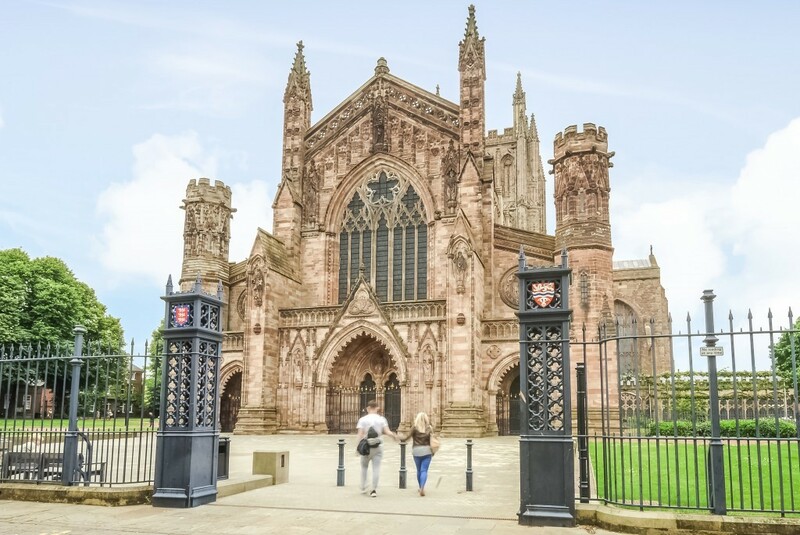 Part of this original structure can still be enjoyed, although much of Hereford’s present-day cathedral was rebuilt again in the 18th century. Although the wool industry eventually died out, cider-making flourished and Hereford still attracted nearby traders as a thriving agricultural centre. The opening of a county hospital and colleges during the 20th century brought modern-day amenities without damaging the rural charm which can still be enjoyed today. By road: For those travelling from the north or south, head for the A49, which runs directly through Hereford City Centre. Alternatively, those visiting from the east should take Junction 7 of the M5 and continue onto the A4103, following signs for the city centre. By rail: Hereford railway station sits on the main line from Cardiff to Birmingham, as well as Manchester. Direct trains are also available from London Paddington. 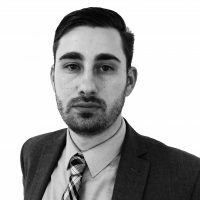 Our Hereford office is open six days a week, including late evening openings from Monday to Friday. Hereford and the villages of Winforton, Marden, Tarrington, Dinedor, Wellington, Woolhope and down to Ross on Wye and Bredwardine and everywhere in between.